Entry form should be received by March 29, 2019. 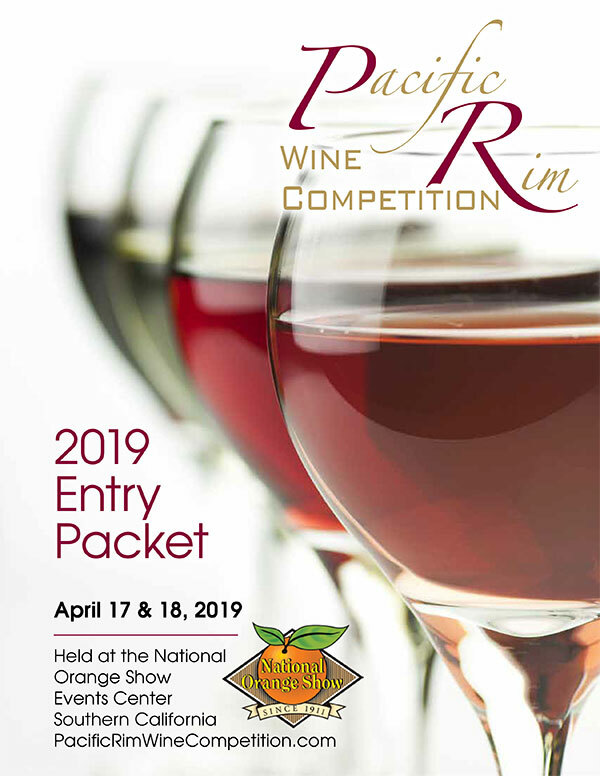 Wine entry fee is $80 per entry in U.S. dollars. Send check or complete credit card information for payment. All checks are to be made out to Pacific Rim Wine Competition with notation of name of winery payment is for. Wine Shipment is to be received by April 6, 2019 (you can start shipping anytime). We are NOT an importer or broker. Wineries are responsible for all costs associated with shipment of wines to us. This includes customs or duties associated with shipment. Wineries are responsible for registering with FDA before sending submissions. If your wine already has a COLA, please send samples through your importer. growers that make their wines commercially. All countries are included. All entrants will receive notification of the awards by email shortly after the completion of the wine judging. Results books and medals will be mailed out as soon as possible thereafter. All wines entered in the competition automatically qualify for the label judging. Those results will be released along with the wine judging results.